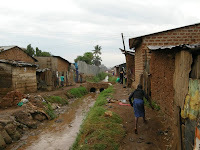 The lives of our children and their parents are daily challenged by living in the slums and poor communities, diseases such as malaria, typhoid, dysentery and HIV/AIDS are rife and can be fatal. Diarrhoea in particular is a very common, very dangerous, but also very preventable disease faced by the children we work with. Washing hands with soap reduces the risk of diarrhoea by over 40%. Preventing disease is a lot more effective than curing it. 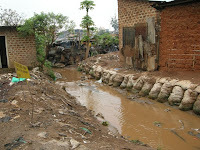 In Uganda, healthcare is expensive and for a lot of people unaffordable. Kids Club Kampala recognizes the seriousness of this issue and is providing solutions to the poor health and bad sanitation these children face. Education about healthcare and hand washing is vital to keeping these children safe. We regularly provide the children with soap, along with education about hygiene and hand washing, which is vital in preventing infections and fighting diseases that are rife in the communities we work in. Something as small as giving a bar of soap to a child and teaching them how to wash their hands properly can literally save lives. We also teach the children about the importance of brushing their teeth, and provide the children with toothbrushes and toothpaste, which are vital in preventing gum disease and tooth decay. 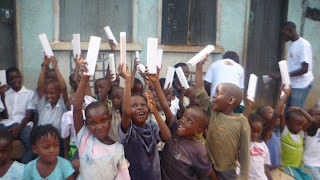 Excitement at receiving toothpaste and toothbrushes! However, donations of these essential items to prevent disease and fight infection are only possible through support from our donors. If you would like to help support this programme, please get in touch. Thank you.